Whether summertime is approaching or you’re making your New Year’s resolution, losing weight is no small task. That’s why I’ve curated an awesome list of weight loss tips (from myself and others) so you can see the change you want and know how to get slim efficiently. I’ve found that it’s easy for people to say “eat these things and do these exercises, and you’ll lose weight!” But these tips on weight loss don’t cover everything. They don’t talk about what’s preventing you from losing weight or help you with meal planning so you lose pounds. So having a weight loss plan and starting off with the knowledge you need to make it happen is going to make your time losing weight so much easier and more enjoyable. In this post on 10 Simple Ways to Increase Metabolism, I give you 6 general weight loss tips when it comes to your metabolism. The things that most people (but not everyone) know and talk about. And then I go into more detail on 4 ways to increase your metabolism that aren’t as well known. Almost all of them have helped me to lose weight more quickly and see an awesome change in my health and body. A Quick Example of a General Metabolism Booster: So many of us have already heard that eating a good breakfast helps us to keep the pounds off because it prevents us from overeating. But it’s also the peak time that your body burns calories, and eating a hearty healthy breakfast is a wonderful way to boost your metabolism all day long. Pretty awesome right? A Quick Example of a Lesser Known Metabolism Booster: Eating for your blood type.That’s right, you can lose weight and speed up your metabolism if you eat according to your blood type. I found this out through a book called Eat Right 4 Your Type by Dr. Peter D’Adamo . So for instance, if you have type B blood, your body will thrive well on a meat based diet, but things like tomatoes, buckwheat, lentils, and peanuts will slow down your metabolism. Another one of the weight loss tips that I’ve also found to help me lose weight are metabolism boosting drinks. Creating something simple like green tea with berries is an awesome way to drop a few pounds. The green tea has an antioxidant in it called Catechin which speeds up your metabolism (and adding the berries is a great way to boost it as well since they’re filled with antioxidants too). When I first saw this post by Skinny Mom, I wasn’t sure if I’d get any weight loss tips out of it. Yes I know I’m not suppose to eat and drink chips and soda, what else could they tell me that I don’t already know? Well apparently they had a few thing things I never thought of. Things like trail mix or rice cakes. Trail mix is high in calories and has a small serving size that no one is gonna stick to. And rice cakes? The no fat low calorie snack? Well that’s rated high on the glycemic index (The glycemic index tells you how high or low a certain food affects your blood sugar. So sugar is 100 and rice cakes.. 82. Not so great). Now Buzzfeed actually gives a great list of ways to lose body fat efficiently. They go into great detail on each of the weight loss tips to give you an understanding of body fat and how you can get rid of it. One awesome thing that Buzzfeed talks about is how many carbs you should take in a day so your body will burn your fat more quickly. I’ve found this method to work well for me when losing weight fast. A lot of you may know him as the host from The Biggest Loser, but he’s also written a book called The Skinny Rules . He cuts straight to the point in each of his 20 principles, and shows you how to lose the weight you want gone. He also included a meal plan and tons of delicious recipes to help you step away from unhealthy processed foods. And if that’s not enough, he also gives tips on what to stock your fridge with and prepare over the weekend so you have healthy food ready for crazy-no-time-to-cook nights. It really is a great read! In this post, I go into 5 Easy Ways to Lose Weight Without Really Trying since I know many of us have a hard time sticking to strict diets and crazy workout routines. And not all of us have the time to go to the gym or have the will to throw out every unhealthy thing at once. So for instance, skipping lunch is a great way to lose weight. Sounds unhealthy right? Well it turns out that lunch is a relatively new things (originated around the industrial revolution). Before that, people usually only had two meals in the day, therefore cutting back on calories and gaining less weight. A few months ago, I found this 7 Day Diet Plan to help people lose 10 pounds in a week. I thought that sounded pretty suspicious, but then I checked it out. This person has her weight loss tips down. She goes into what types of food you should eat (such as high fiber foods which will help you feel fuller longer), whether you need to lose weight based on your health, how much you should weigh for your height, and of course, the 7 day meal plan (she also includes some easy exercises for each day). It’s a given that walking is an easy way to lose weight. There’s not a lot of effort that goes into walking, and it’s not intimidating like interval training. But one of the writers from Skinny Mom has found a great way to optimize your time walking and help you burn calories more efficiently. She goes into how it helps you to lose body fat, how to keep a walking schedule, and of course the way you should walk if you want to shed those pounds. 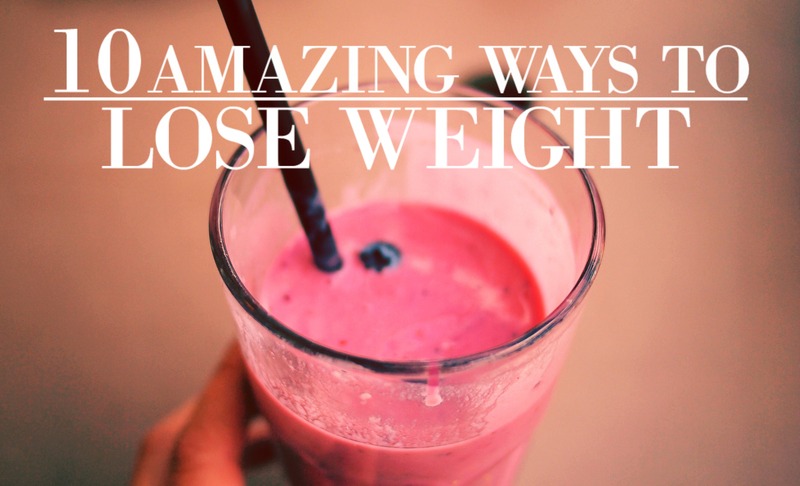 Seriously some great weight loss tips. I grew up in California, where so many people seemed to be obsessed with health and weight loss.. or at least the areas I lived in. And so I share many of the habits I’ve seen fit people have to stay slim. I go into detail on the ways they stay fit and how you can apply it to yourself. Such as having a splurge day; a day where you can pick a certain meal or snack that you crave and isn’t good for you. It keeps you from splurging on the days you shouldn’t splurge, and keeps the calories and your weight down. When thinking of foods and habits you should eat and do during your time of weight loss (or in general), it’s important to think about the ones that will suppress your appetite. They’re the ones that will keep you from overeating in the day and keep your weight down. Another writer from Skinny Mom was able to create an awesome list of appetite suppressing foods and habits. It’s an easy read and gives great weight loss tips on snacks and actions for losing pounds. Now whether you’re losing weight to get back to where you were as a teen or you just want to lose a few pounds, there are plenty of healthy ways to do it. Going into it with these weight loss tips will help you get to your goal more quickly and efficiently. You won’t be burning yourself out with crazy workouts and making yourself miserable on boring diets. Just figure out what works for your height and body type and you’ll start to see results quickly. Now if you have any weight loss tips yourself, email me or let me know in the comments! I’d love to hear them! Great article. Avoiding Oil and Dairy works for me very well.